Fusion was chosen to create a Chamber of Commerce website for the Greater Connecticut Gay & Lesbian Chamber of Commerce, formerly known as CABO. This membership website is responsively designed to fit to cell phone and tablet screens, and is integrated with many feature-rich tools for chamber members, including member registration, member-only pages, and business directory submission. Main tools used: WordPress and ChamberMaster. 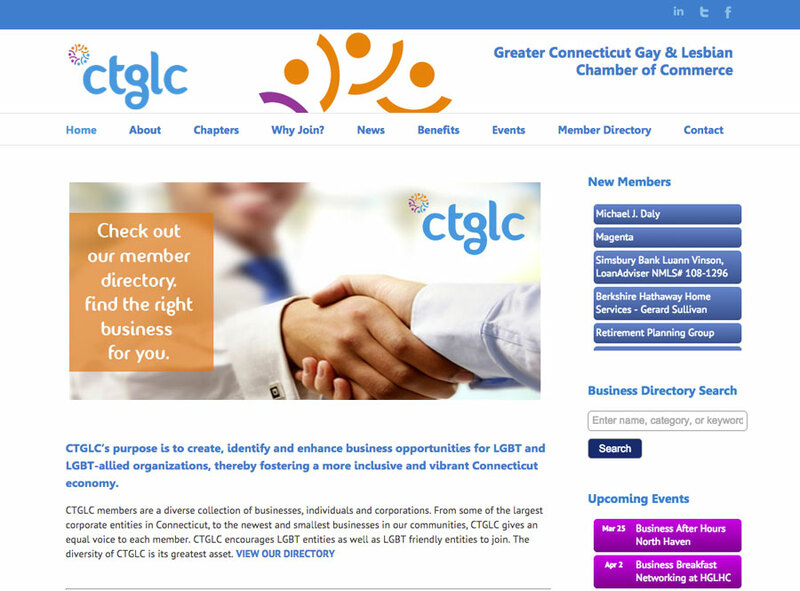 http://www.ctglc.org.